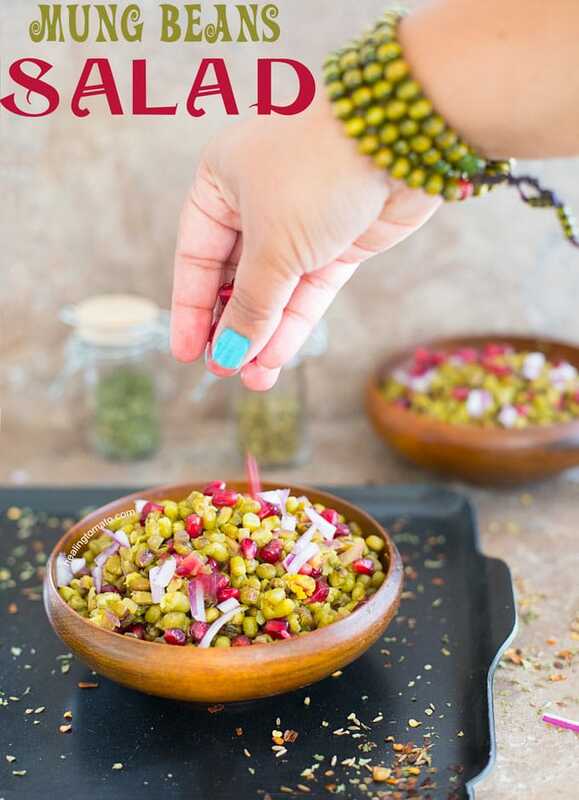 If you haven’t tried mung beans before, I am willing to bet that you will fall in love with them after you try this mung beans recipe. 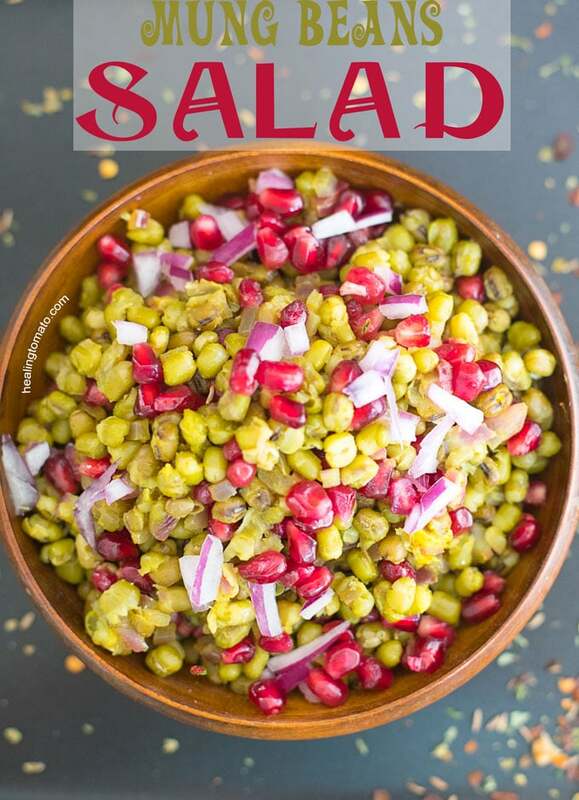 What I have discovered after making this recipe is that mung beans and pomegranate are a match made in heaven! For Me, mung beans are not an exotic legume. Growing up, we used to make mung beans dal at least once a week. It was one of my favorite recipes. 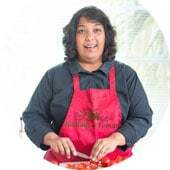 If you visit the home of any Indian family and rummage through their pantry, you will definitely find them in there right next to the basmati rice. We love our mung beans and use it extensively, mainly because they are a HUGE source of protein for us. Just one Tbsp has about 3g of protein (Source: Wikipedia). Now that I am working on becoming a full time vegan, mung beans are always my go-to recipe for when I need protein. 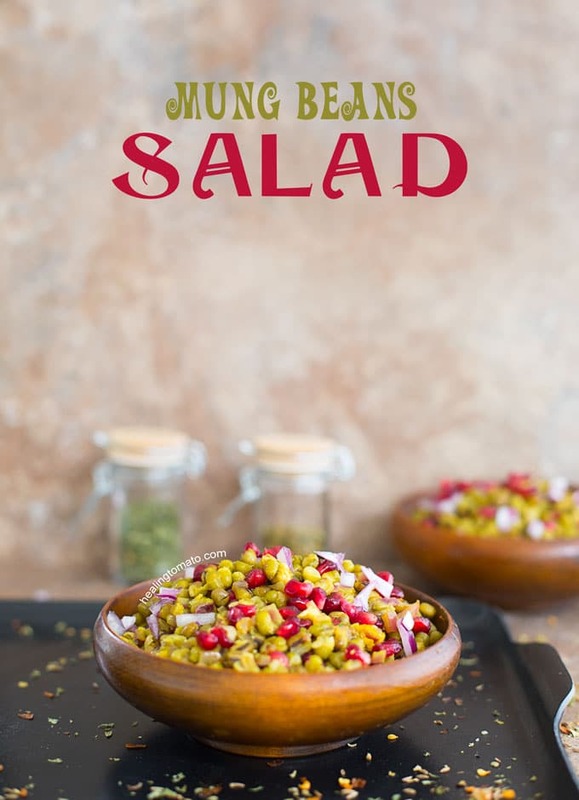 Its also referred to as Moong Beans and its delicious either way you pronounce it. They have gotten a sort of “Hippy Food” status because it was over popular in the 60s. That just makes me sad because it can really be a delicious meal when prepared correctly. In fact, sometimes all you need is a little salt over cooked mung beans and you have the perfect post-workout snack. It has proteins, magnesium, iron, Vitamin B6 and fiber. 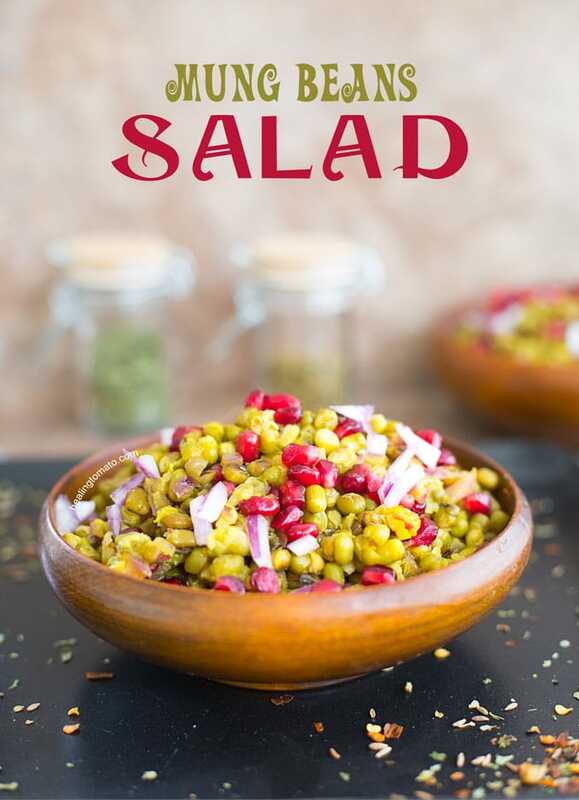 I made my salad recipe with a little Indian flare. It has cumin-coriander powder and turmeric for spice. If you want to make a Mediterranean tasting salad, add homemade tahini. Or, you can even add a simple lemon vinaigrette and enjoy it for lunch. The pomegranate steal show because they really pop in this recipe. However, If they are not in season, you can substitute with (affiliate link) dried cranberries too. What’s your favorite recipe to make using Mung Bean? 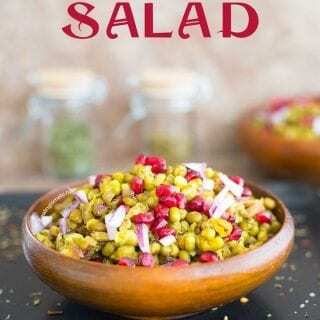 A super simple mung beans salad made with pomegranate and spices. After cooking the mung beans in hot water for 13 minutes, turn off the heat. Drain the water into a bowl and preserve it. This water has a lot of nutrition and its also good for using a vegetable broth. This is such a beautiful colorful salad! We loved this! So easy to make and loaded with flavor! !